Home / Spaera 0.9.1.1 “Greenlight” Patch! Spaera Patch 0.9.1.0 is LIVE! Instant Drop “Speed UP” Bonus has been temporarily removed for revisions and tweaks. The board dimension has been changed from of 10 columns by 21 rows to 9 columns by 19 rows. Brick blocks can now be “morphed” back into normal colored blocks by being in proximity to a normal clear. 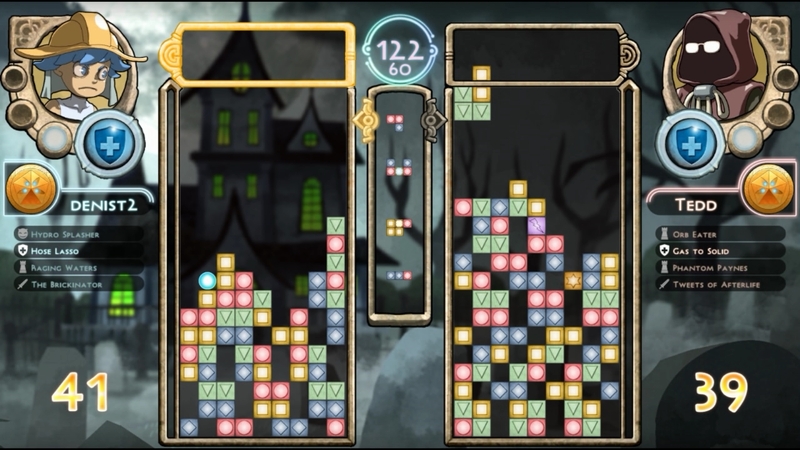 When you activate a clear by matching 3 or more blocks, any adjacent bricks blocks will be morphed back into a normal block. The frequency of appearance of the primary 4 colors have been adjusted. The 2 extra “off colors” have been removed from the spawning queue. Panic mode now comes 50 seconds sooner at 150 seconds, down from 200. Rafael’s Lingering Intermezzo duration increase from 4 turns to 7 turns. Rafael’s Skyward Cadenza’s potential number of lines cleared has been increased from 2-5 to 2-6. Joseph’s Brickinator now bricks the whole board again. Ruh Roh. Fixed a glitch where the piece in play may disappear for a split-second before landing. Fixed some glitches in Pone’s 1000 shattering fists. Fixed Game Results message box text drag bugSpecial thanks to ZyphDoz and RabidDuck for helping to find these bugs!